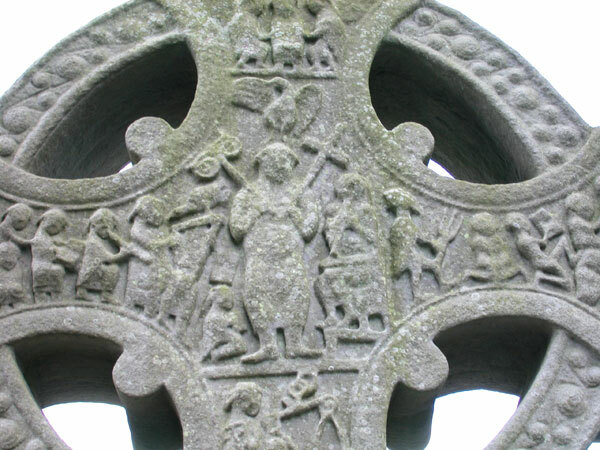 Middle of head, east side of Muiredach's High Cross, Monasterboice. Description: Christ in Majesty sitting in Judgement (as the fate of followers on either side of him suggests). This image of Christ is based upon Egyptian depictions of Osiris, as indicated by the crossed hands and the eagle that resembles the crown of Egyptian deities.